So it’s Friday before the Spring (it’s officially here, although you wouldn’t know it from the snow and hail over the past week) Bank Holiday here in the UK and yet I’m yearning for warmer climes. After telling you the story of the swimming pigs in the Caribbean this week, I’m day-dreaming of being on a yacht floating around the Bahamas and Caribbean Sea. 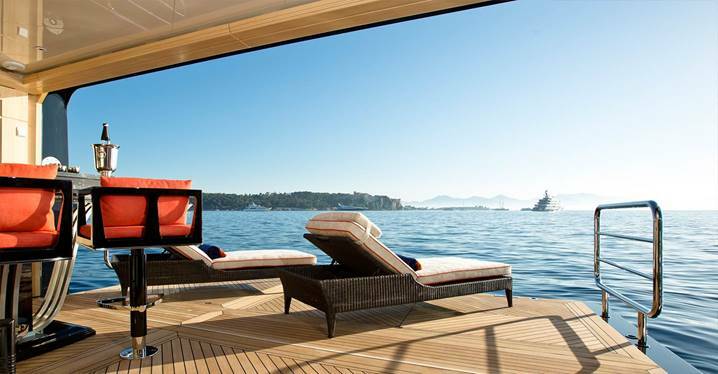 If you haven’t had the chance to take on a yachting holiday, it is an experience of a life-time – you’re very much in charge of your own itinerary, you can pop into shallow lagoons and coves unreachable by land, snorkel or scuba pretty much wherever you like, be treated like a king by the skipper and his crew and dock up in ports from the hedonistically fabulous to the historically cultural. Some prefer the call of the wind in sail-boats, but I’m very much a power-boat person. And this floating palace, a thinking-man’s boat if its name, Grey Matters, is anything to go by, is a big turn-on for me. The plaything of billionaires, this 150ft PJ150 open was built by Palmer Johnson and very recently refitted and its stunning exterior designed by industry afficianados, Nuvolari and Lenard. And if you’re starting to notice the James Bond-like similarities of this craft, you’ll love that in a previous life, it used to be called the Skyfall II. Grey Matters is the ultimate sport yacht with cutting edge styling and distinctive sleek profile and performance. 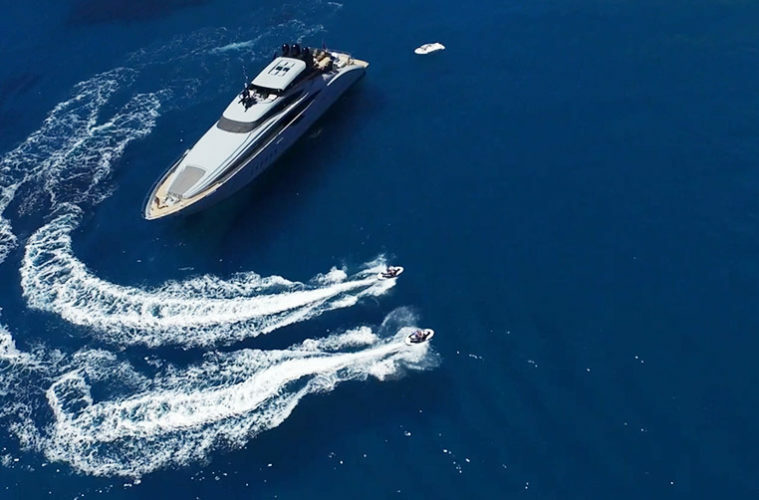 For most, this sort of yacht is considered to be off-market and inaccessible, but the guys at SuperYachtsMonaco have this yacht available for charter in the Caribbean sea. So if you, fancy seeing those swimming pigs in Barbados, or float around the fifty tropical gems that make up the BVIs, then this craft is a steal from just GBP£130k/US$187,500 per week – some would say a drop in the ocean.